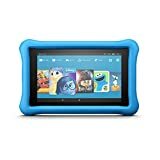 The Amazon Fire tablet line provides excellent content and unbeatable prices for the whole family. 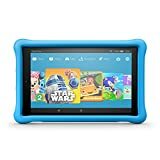 Whether you are looking for a simple, affordable tablet to browse the web or an educational gaming platform for your child, Amazon has a Fire tablet that will fit your exact needs. It’s convenient enough to share a tablet with the whole family, or inexpensive enough to buy one for each member. 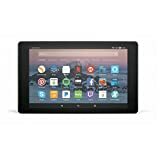 If you are considering a tablet from the Amazon Fire line, this guide will give you all the information you need to know to purchase the best tablet for your lifestyle. These tablets are highly customizable, so it’s easy to find the exact tablet you’re looking for. If you aren’t sure what to look for or what to expect in an Amazon Fire tablet, check out these helpful FAQs and our comparison lists below. 1. Why Choose an Amazon Fire? Fire tablets are some of the most affordable tablets on the market. They provide the features you need, without an extravagant cost. Each tablet is offered with a variety of storage capacity options, so you can upgrade your gigabytes if you need extra space. As long as you don’t choose a kid’s edition tablet, your tablet will include Alexa voice controls. The Fire OS is convenient and intuitive and has a dedicated web browser, Silk, to easily access all your internet needs. You may have a few difficulties with the Fire due to connectivity issues. Since it isn’t an Apple or Android product, it may not sync with your phone and laptop as easily as other products would. Alexa is a voice-command system that is designed to make your life easier. You simply need to say the name and give it a command. Alexa can answer a wide range of questions and can make it easy to search the internet, make a call, schedule an appointment or complete a wide number of other tasks. 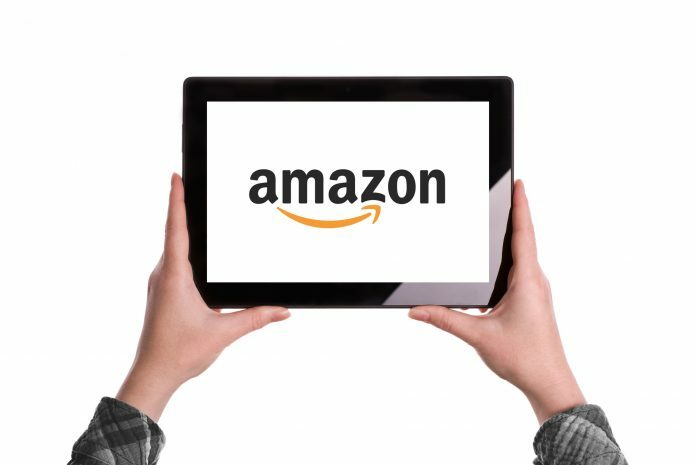 With the popularity of this feature, many other Amazon products are using Alexa as well, like Fire TVs and the Amazon Echo. 3. How Many Gigabytes Do I Need? Fire tablets come with a range of storage capacities. You can choose between eight gigabytes, or GB, 16GB, 32GB and 64GB. The amount you’ll need depends on what you use your tablet for. 8GB, or even 16GB, isn’t a lot of storage space. However, if you plan on saving most of your files online, you may not need additional space on your tablet. Apps and the operating system take up a few GB of storage, but generally, most of your storage space will be used with pictures, videos or music. If you don’t plan on storing any of these on your device, you won’t have an issue with even the smallest amount of storage. 4. What Is FreeTime Unlimited? Each kid’s edition Fire comes with a year’s subscription to FreeTime Unlimited. This subscription-based service is a way to have parental controls over a wide variety of games, books and videos for your child. It’s designed for children between three and 12 years old. You’ll have access to the parent dashboard on the tablet or phone, so you’ll be able to monitor their use. This allows you to be sure your children are using their devices for age-appropriate material, and you can even filter the content for your child’s specific age. The dashboard lets you set time limits, restrict access and encourage your kids to read and use educational functions. It’s a great way to let your children explore the tablet and read or browse the web, without worrying about what they might find. After the free year, the subscription costs $2.99 per month. 5. What Are Special Offers? If you purchase your Fire tablet from Amazon, you’ll notice the option to purchase it with or without special offers. Special offers give you a discount on your tablet, so it’s natural to choose this selection. Special offers are advertisements in the form of deals and discounts. They appear on your lock screen when you turn on your tablet, and you simply need to swipe to open your lock screen. Most customers agree that this is a very small inconvenience for the price discount, but if it becomes too inconvenient, you can pay a one-time fee to remove your special offers subscription. This is a unique way Amazon can keep the costs low, and some customers even find offers that are great deals on products they already want to buy. Consider choosing this option, as an unobtrusive way to cut costs and receive a great deal on a great tablet. The Amazon Fire currently comes in six different variations. Each of these is featured on this list. The comparison will include official specifications, customer ratings and professional reviews of the products. With such a wide range of tablet sizes and storage capacities available, you can choose the one that best fits your home. No single Fire is best for everyone, so this list will give you the information to make your own decision when looking for the best Amazon Fire tablet. The Amazon Fire tablet line is designed to be affordable, functional and convenient. Each tablet on this list is incredibly cost-effective for its screen-size and functions. The least expensive tablet is $49.99, while the most expensive is $199.99. Take your time and determine which one best fits into your budget. 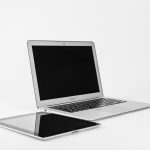 In general, the larger screen sizes cost more than smaller ones, and larger tablets also include more RAM, storage capacity and stereo speakers. The kid’s edition tablets are slightly more expensive, but they come with more features as well. For the most portable and cost-effective option, the Fire 7 is an excellent choice. This versatile little machine packs a Quad-Core, 1.3GHz processor, 8GB of storage and Alexa into the incredibly cheap $49.99 package. If you are looking for a no-nonsense tablet to surf the web, use as an e-reader and stream content, it’s one of the cheapest tablets on the market. 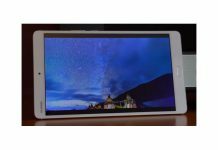 While its cost and portable size are the two biggest benefits of this little tablet, there are some noticeable downsides. First, 1GB of RAM is far less than typical tablets. You’re apps, videos and even web pages may load slower than expected. Some customers feel the speakers are low quality for this tablet, due to the mono speaker design. 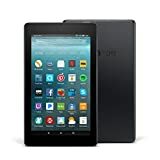 Like all the Amazon Fire models that aren’t kids’ editions, the Fire 7 only comes with a 90-day warranty, which is very low compared to the typical one-year warranty of most tablets. 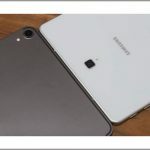 While it has both front and rear cameras, the quality of these cameras is considerably lower than almost any phone or tablet device. If you’re looking for an incredibly cheap tablet that is still reliable and has reasonable speeds, the Fire 7 is an excellent choice. For from $109.99, the Fire HD 8 offers considerable advantages over the Fire 7. Obviously, it has a larger screen, but it also boasts 1280 x 800 high-definition resolution. It comes standard with 16GB of storage, which can be upgraded to 32GB for from $79.99. The processing speed is increased, with 1.5GB of RAM. This is still less than most competitive tablets but is an improvement over the Fire 7. The Fire HD 8 boasts the longest battery life of any Fire tablet, with 12 hours of constant use. It has an additional speaker, giving you Dolby Atmos stereo sound. Like the Fire 7, you can talk to Alexa as long as the device’s screen is on. For a slightly more expensive choice, you get a diverse range of improvements over the Fire 7. However, if you’re looking for a budget model that is ultra-light, you may not notice many of the minor improvements. For a more full-sized, complete tablet experience, the HD 10 offers higher resolution, 32GB of storage and 2GB of RAM, which brings it up to speed with some other tablet brands. With this tablet, you can talk to Alexa without activating the tablet. Set the tablet in your living room, and you can easily replace your Amazon Echo with this versatile machine. The screen is comparable to other, high-end tablets, and the battery life is still reasonable for such a large screen. While it still lacks a long warranty, you can purchase a one-year or two-year warranty for this device. 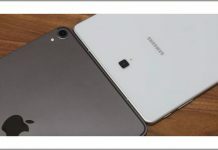 However, some customers didn’t feel the additional features were worth the considerable price difference between the HD 10 and the HD 7 or HD 8 tablets. While two GB of RAM is more than the other Fire models, many ten-inch tablets include up to four GB of RAM. 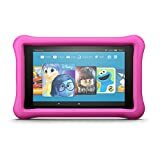 The first in a unique line of Fire tablets designed specifically for kids, the Fire 7 Kid’s Edition offers several great additions for your child to have an enjoyable and safe experience. All the kid’s edition tablets come with thick, protective, rubber bumper cases. You can buy these covers in blue, yellow or pink. Each kid’s edition tablet also comes with a one-year subscription to FreeTime Unlimited and a two-year warranty. Otherwise, this tablet is identical to the Fire 7, with 16GB of storage. It doesn’t however, include Alexa functionality. Very similar to the Fire 7 Kid’s Edition, this model is a Fire 8 HD with 32GB of storage, rubber case and one-year of FreeTime Unlimited. It doesn’t include Alexa, but customers love the convenience and safety of FreeTime Unlimited. 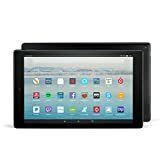 Up to $119 in savings on Fire HD 10 tablet, 1 year of Amazon FreeTime Unlimited, and a Kid-Proof Case, versus items purchased separately ─ plus a 2-year worry-free guarantee. Not a toy, a full-featured Fire HD 10 tablet with a brilliant 10.1" 1080p Full HD display (1920 x 1200), 32 GB internal storage, and up to 10 hours of mixed-use battery life. Add a microSD card for up to 256 GB of expandable storage. The most expensive kid’s Fire tablet model, the kid’s edition of the 10 HD tablet is a great choice for your child to easily play any game, app or educational content. The larger screen makes it easier to watch their favorite movies and TV shows, while you have access to all the controls on the parent dashboard. It’s quite expensive, however, and doesn’t include the convenience of Alexa support. The sturdy case and two-year warranty are great choices for this tablet and make a durable device for any child. While each Amazon Fire tablet looks similar, there’s a surprising amount of variety between the different models and additional options. If you’re looking for a highly affordable tablet, and don’t mind a slightly slower experience, consider the Fire 7. 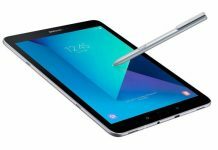 It’s an amazing deal, and no other tablet can compete with the price range. For a tablet that can stand up to the power and storage capacity of competitive tablets, consider the Fire 10 HD. It’s a great choice for streaming online content, and Alexa makes it a great device for your whole household. Each kid’s edition is convenient, durable and provides your child with plenty of safe and educational content, no matter their age. While the Fire 10 HD Kid’s Edition is quite expensive, the Fire 7 Kid’s Edition is a durable and affordable choice. Take a look at all the options available, using the handy FAQ list and comparison table, and choose the tablet that best fits your lifestyle and budget.